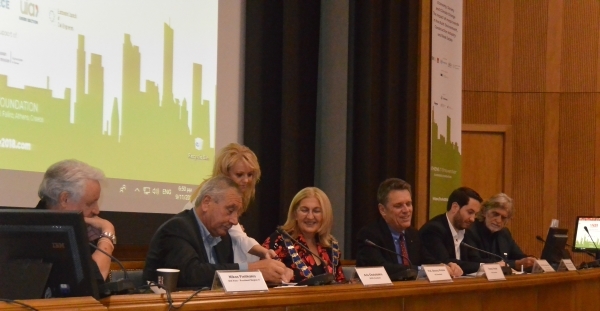 At the close of the high-level international conference, TUFE 2018, on climate, society and economy, FIG President Chryssy Potsiou signed a wide-ranging cooperation agreement with the International Union of Architects (UIA) and the European Council of Civil Engineers (ECCE). 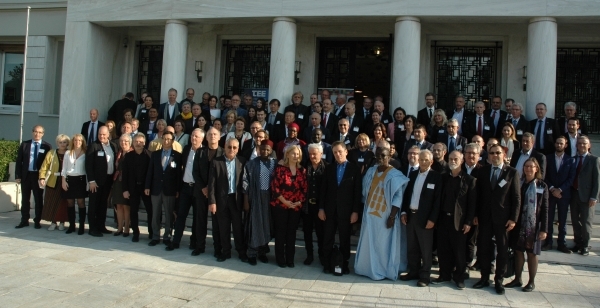 The Technical Chamber of Greece, FIG, the Working Party for Land Administration of the United Nations Economic Commission for Europe (UNECE-WPLA), the International Union of Architects (Greek Section) and the European Council of Civil Engineers, had organized this interdisciplinary conference which took place 7-9 November 2018 in Athens. They had invited policy makers, senior professional leaders, academics and relevant professional experts to bring together experiences and scientific knowledge that would impose setting up land policies and actions in the fields of sustainable land and real estate management for the humanity and the economic and legal empowerment of the poor and for dealing with the impact of climate change and other mega-trends. During the three days, trends in the management of land and real estate, including land administration, land use planning and territorial justice, heritage preservation, property valuation and taxation, construction stability and development issues in terms of technology, environmental friendly and disaster management tools, funding issues, technical issues such as the blockchain technology and its potential, the use of crowdsourcing in surveying, as well as educational and professional aspects were presented. The effect of brain drain on developing or distressed economies, an effect of growing concern also within Europe was also on the agenda during the conference. stablishing a closer cooperation for a world free of poverty, fear and inequality, where life is safe and growth is resilient and sustainable. Around 300 Architects, Engineers and Surveyors participated in this conference (proceedings will be available soon). Like FIG, the Union of International Architects and the European Council of civil Engineers, have the UN Sustainable Development Goals on the agenda, and together the three organizations cover quite many of the 17 goals.